Allan Cunningham, a British botanist tracked his way to the peak of the mountain range in 1827, only days before he named the expanse of rich pastures he had travelled through the Darling Downs. It wasn’t until the 1840s that the squatters and their sheep followed. On the 3 July 1909, Cunninghams Gap was declared a national park. Walking tracks were constructed in the 1930s and 1950s. On 11 June 1927, the 100-year anniversary of Allan Cunningham’s discovery of the Darling Downs, the new road through Cunningham’s Gap was officially opened by the local Member of Parliament, Sir Littleton Groom. Although the road, which was built entirely by volunteers, was officially open, travelling along this new route was inadvisable, especially on the portion west of Aratula. The road was plagued by problems during this early embryonic stage with the Royal Automobile Club of Queensland announcing that the road was closed, less than one month after it was officially opened. The newly sealed road through the gap was eventually opened in November 1949. 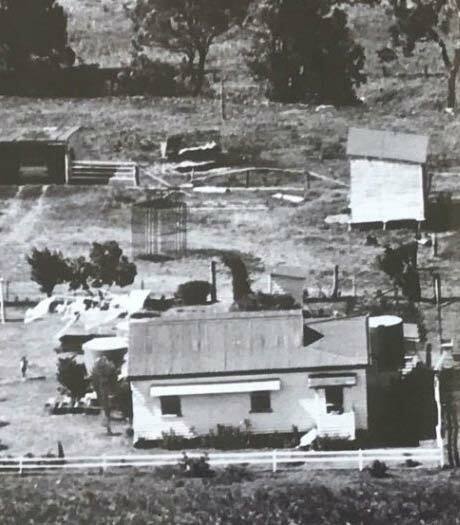 Bestbrook was a working farm up until the early 1980s, originally the farmhouse was situated just off the Cunningham Highway to the east of the main Coach house about where the old tennis court is located. Now used for horse riding. An aerial photo of the farm house taken in 1965 is located in the front reception. With views of the old dairy and sheds, and showing cultivation at the foothills of the mountain, which was once a lake but is now our Labyrinth project started in 2015. Bestbrook was purchased by a group from Brisbane who had dreams to develop it into a tourist facility, introducing domestic and international tourists to a little bit of country. The original development had big plans, installing 9 self-contained cabins along Gap Creek and then on the 1st December 1989 the Coach House was opened to the public by Sir Frank Moore the then Chairman of Qld Tourism and Travel Corporation. Aust. Tourism Industry Assn. This was a great day for the small regional area of Maryvale, normally home to cattle and dairy farmers was now being exposed to the wider region and inviting tourists from all corners to come and visit. In 1995 the “Village bunkhouse” was built to capture the school camp market, international student market and further grow Bestbrook. it was sold in 2001 and had a couple of years of showing no growth. It was purchased by the current owners Ray and Elise Vincent, who have worked tirelessly to rebuild relationships and grow a strong customer base to see Bestbrook shine and become a strong local business in the area. They are very grateful to their wonderful staff, who pride themselves in saying that they work at Bestbrook, treating it as if it was their own and giving their all 100% of the time. 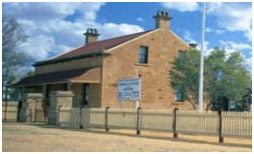 Warwick has a some of Queensland’s finest examples of heritage listed sandstone buildings and a trip to the Warwick Visitors Centre or Warwick Historical Society Museum will provide further details and maps. The Warwick Historical Society Museum is a collection of buildings which features furniture and household items representing more than 130 years of family life in the Warwick district. Most notable is the sandstone Pringle Cottage which was built circa 1870, and is listed by the National Trust. Collections of photographs, historical and personal items, farming equipment, vehicles, and machinery are displayed in several buildings relocated on the site. 5 km to the west of Bestbrook heading towards Warwick is Maryvale Rd to the left and just 2km down that road is the small village of Maryvale were you will find a 100+ year old heritage listed hotel.